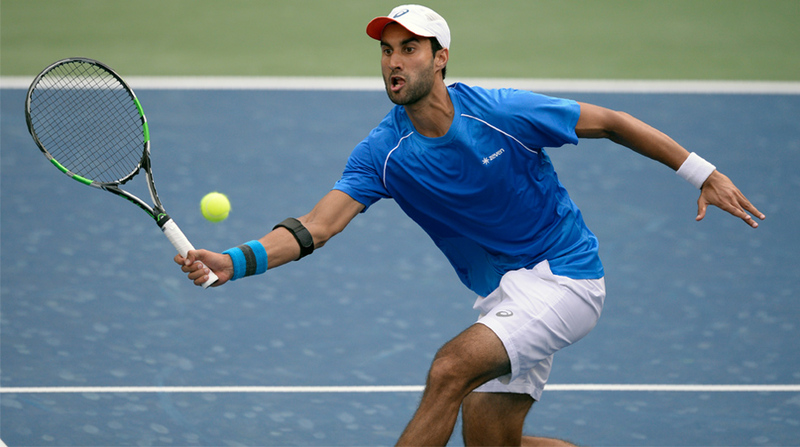 Country’s top tennis player Yuki Bhambri has rated the gruelling match against Denis Shapovalov as one of the best of his career and was candid enough to admit that India need top-50 singles players to become a force in the Davis Cup. He might not have won the match against supremely talented Shapovalov but pushed the 18-year-old Canadian before losing the second singles 6-7(2) 4-6 7-6(6) 6-4 1-6 after battling hard for three hours and 52 minutes. “Personally, it was a very good Davis Cup tie for me. I will rate it among top three matches in my career, in terms of quality of play, in terms of fightback and duration of the match. We could not win but we fought well. Ram also played well. He pulled off a great win (on Day one). It was close and good,” Yuki, who is ranked 152 in the world, told PTI during an exclusive interaction. The former junior world number one though begged to differ when asked whether India lost a golden chance to enter the World Group since the teams India faced in the previous Play-offs, were much stronger. “I would not say it was a good opportunity missed since we played better than expected. We were playing a team which had one top-50 singles player and two Wimbledon doubles champions. Playing a World Group Play-off was always going to be tough when India are playing a team above their level. Before going to Edmonton to take on Canada, Yuki had knocked out World Number 22 Gael Monfils at the Citi Open, where he as a qualifier, beat many higher-ranked players. Yuki admitted that to qualify for the World Group and stay there, India needs either better singles players or he and for Ramkumar to get better in the ATP rankings. “You need guys to be top-50 in the world because you are playing players, who are inside top-50 or teams like France and Spain who have top-10 and 20 players. That’s the reason we have not made the World Group. You have to win three matches and it’s not overnight thing. “There is level where we are. Both me and Ram are around 150 and by the end of the year we will be around 120. But you need someone, who is consistently in top-50 but at the same time there is a big improvement if we compare it to the scenario we had five or 10 years back.